EarMaster Essential | Mac App Storeのアプリ検索・ランキング BuzzMac! 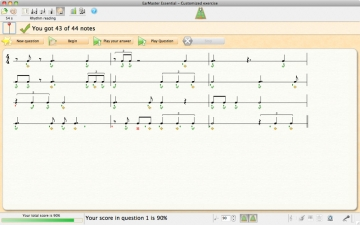 Interactive ear training for all musicians. 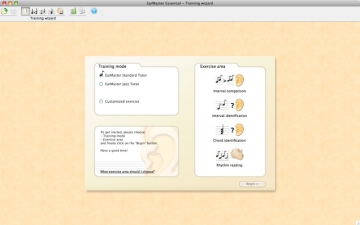 EarMaster Essential 5 offers 4 activities to train your musical ear and become a better musician. 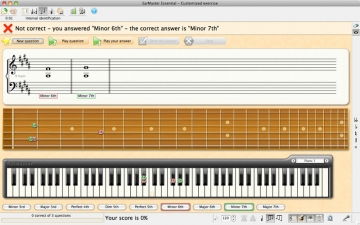 Learn to identify, transcribe and play intervals, chords and rhythms with 139 lessons from Classical music to Rock, including Jazz chords, swing rhythms, and a customized mode to practice according to your own needs! Experience how ear training can become rewarding and fun with EarMaster’s dynamic on-screen interfaces (staff, piano, guitar, bass, violin, cello, etc. 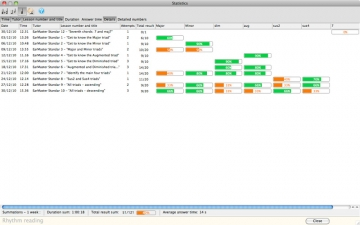 ), statistics tool, microphone and MIDI input, and more!